Ancient tools suggest humans left Africa earlier than thought – Royal Times of Nigeria. Early stone tools discovered in India suggest human ancestors may have migrated out of Africa much earlier than previously thought, a scientific study published on Thursday said. The study is based on over 7,200 stone artefacts collected and examined from the archaeological site at Attirampakkam, about 60 kilometres from Chennai in the southern Indian state of Tamil Nadu. The tools found were made between 385,000 to 172,000 years ago, according to Indian and French researchers, marking an earlier start of Middle Palaeolithic culture phase in India – which was believed to have been dated around 125,000 years ago. The findings in India could prompt a re-examination of the early human migration out of Africa, the researchers said. The earliest evidence for modern humans suggests Homo sapiens arose in Africa at least 300,000 years ago. Later, they left the continent to colonize the globe, but scientists are divided on when and how. It is also not certain if it was a single or multiple dispersals. Many scientists believe there were several dispersals from Africa and only some were successful. 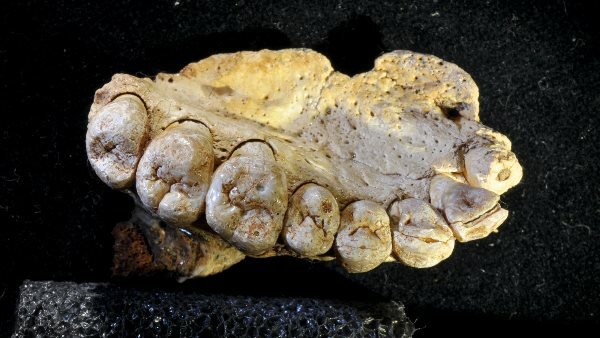 A recent discovery of a jawbone fossil in Israel reported last week suggested humans left Africa as early as about 180,000 years ago. But the Indian discovery, which was published in the scientific journal Nature, suggests there could have been a migration even before that. The archaeologists found tools made with a distinct and sophisticated tool-making technique of the Middle Palaeolithic known as Levallois that began replacing clunkier and more primitive stone tools from Acheulian technologies of around 400,000 years ago. Modern humans’ related ancestors, collectively known as hominins, started making heavy stone tools at least 1.75 million years ago. The Levallois technique, including sophisticated blades chipped from chunks of quartz, for example, could be used to make spears and was believed to have first developed roughly around 300,000 to 400,000 years ago by archaic or possibly modern humans in Africa and Europe. In India, it was thought to have come only around 125,000 years ago. The new finding suggests “fully-fledged Middle Palaeolithic culture” existed in India around the time as human migration out of Africa, according to the researchers. That might imply that the migrations occurred earlier than had previously been thought and/or that local influences had a role in the development of the Middle Palaeolithic in India. The authors said they were “cautious” at this point because it is impossible to say whether the tools were made by Homo sapiens or related species, since no human fossils were found with the tools. “Understanding the transition to the Middle Palaeolithic outside Africa and Europe is vital to the study of the lives and times of humans in Eurasia,” said Professor Shanti Pappu, a corresponding author of the study, in Chennai.